Charter a private flight to Ocean City, a popular resort town along the Atlantic Coast of Maryland. Whether flying private for business based in Worcester County or for leisure at one of the beautiful beachfront resorts, we can help arrange the right aircraft and flight itinerary that best suit your needs. Baltimore Jet Charter believes in providing private flyers with a one-on-one consultative service experience that exceeds every expectation. We understand that your time, privacy, flight preferences and most of all, safety, are all extremely important. Our Ocean City Private Jet Charter brokers are available for you by phone and email 24 hours a day, 7 days a week. When using our private aviation service, you can expect quick response times and an easy, hassle-free booking process. Request a quote or call us to arrange your private flight to Ocean City, Maryland. 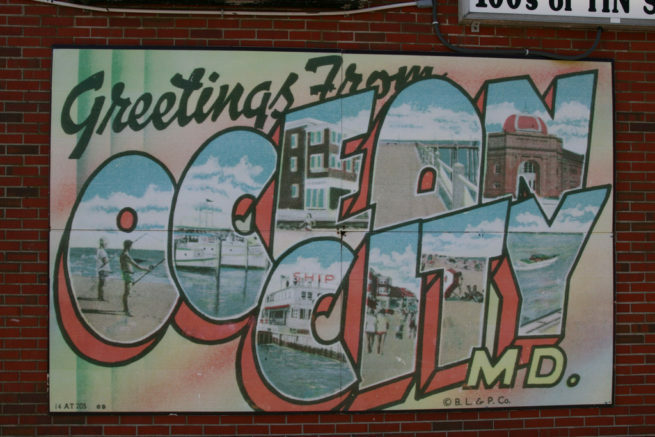 After landing at (KOXB) Ocean City Municipal Airport, visitors cross the OC Bay Bridge to Maryland’s only coastal community and find a beach lined with towering resort hotels, a bustling 2.5-mile long boardwalk and lots of fishing boats and recreational boaters. 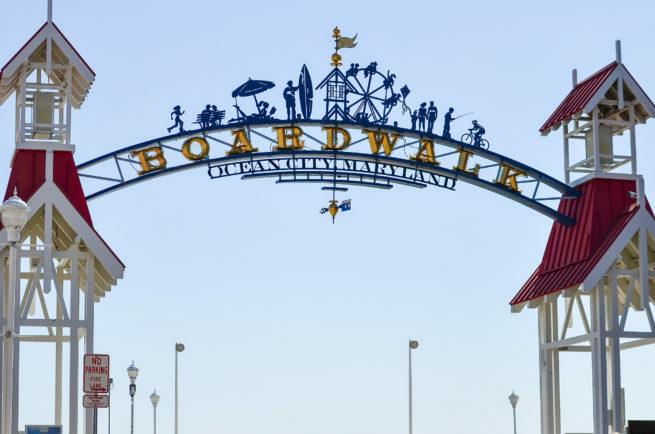 The boardwalk stretches from the inlet to 27th street, and together with the beach, is lined with resorts and hotels, offering something for everyone. Luxury travelers should check out the Dunes Manor Hotel & Suites, while families flying private to Maryland can stay at the Francis Scott Key Family Resort, or at the Frontier Town Campground for new outdoor adventures. The south side of the inlet can get a little raucous, so if you’re looking for a quieter stay, look into hotels on the north of the inlet. Before booking your private charter flight, keep in mind that over 8 million people visit the city annually, and the city becomes the second most populated town in Maryland during the summer months. It experiences a mild humid subtropical climate, and the crowded summers can be quite hot and humid (nothing the beach can’t fix). The following list of our top choices was created based on factors such as Baltimore Jet Charter passenger feedback, location, amenities and online reviews. Once you arrive in Maryland via luxury private jet, our Ocean City Jet Charter representatives can also arrange ground transportation to/from the hotel of your choice. 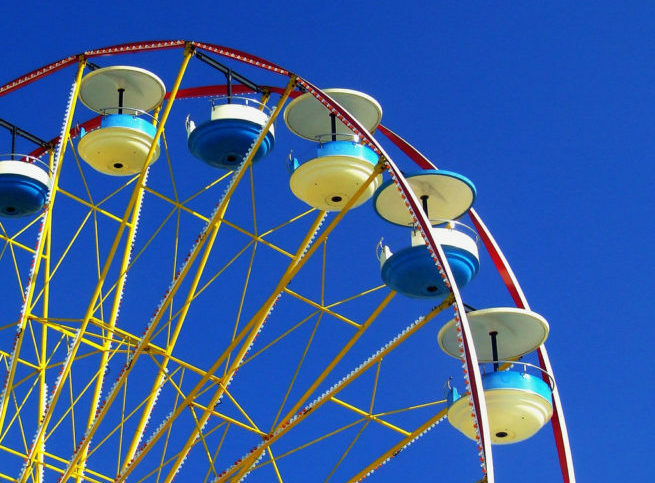 Fly private to Ocean City, Maryland, a town that started out as a small, quaint fishing village when Englishman Thomas Fenwick built a cottage for visiting fishermen on the inlet late in the 20th century. After a major hurricane shuffled the terrain in 1933, the Army Corps of Engineers took advantage of nature’s intervention and the inlet was permanently formed, establishing Ocean City as a major mid-Atlantic fishing port. The city would go on to become one of the most popular vacation resorts along the east coast during the post-war boom, and the Chesapeake Bay Bridge was opened in 1952, making it easily accessible for anyone in the Baltimore-Washington metropolitan area. Although it’s currently marked as part of the Salisbury Metropolitan area, the town continues its sprawl, reaching out across the bay towards Berlin and Ocean Pines. The strip along the beach now runs for more than 9 miles from the south inlet to the Delaware border, supporting a variety of hotels, apartment houses, shopping centers, a large convention center and amusement parks – take a spin on nausea-inducing rides, sample some salt water taffy, close a business deal, play ‘dodge the teenagers’, buy a graphic t-shirt with obscene language and drink like a fish at cheesily themed bars. The order in which you partake is entirely up to you. Nature lovers will enjoy the change of pace at nearby Assateague Island, home to deer and wild ponies, and Fenwick Island & Bethany Beach are just to the north in Delaware, making it a quick and easy day trip. Although its heyday as a fishing village has come and gone, anglers still flock here from around the world for some of the best sport fishing – Ocean City is proudly known as the “White Marlin Capital of the World”. Private fishing charters become incredibly popular over the summer, as charter and private fishing boats go out for billfish, tuna, swordfish, wahoo and the occasional sailfish or spearfish. Ocean City is also host to one of the largest fishing tournaments in the world, the White Marlin Open, held annually in early August. The tournament is also one of the most lucrative, with prize money for the largest White Marlin, Blue Marlins and Tuna ranging over $1 million dollars. Check out more of our recommendations after your private charter flight to Ocean City, Maryland. Baltimore Jet Charter utilizes the following airports to fly clients privately to/from Ocean City, Maryland and neighboring areas of the mid-Atlantic. Request a Quote or give us a call at 1-888-987-5387 to speak with one of our Ocean City Private Jet Charter agents for your next luxury vacation, business trip, or special event.